Efraín Gutiérrez (born 1946) is a Mexican-American filmmaker from San Antonio, Texas who is associated with the Chicano Film Movement. In 1976 he directed, produced, co-wrote along with Sabino Garza, and acted in his first feature, Please Don’t Bury Me Alive!, a film he self-distributed. He completed two more feature films in the 1970s; Amor Chicano Es Para Siempre (1977) and Run, Tecato, Run (1979), both of which he wrote, directed, and starred in. Among his other works are A Lowrider Spring Break En San Quilmas (2001) and Barrio Tales: Tops, Kites and Marbles (2008), both co-produced with his wife, Irma Gutiérrez. In 2014, Please Don’t Bury Me Alive! was included in the National Film Registry, the National Film Preservation Board’s list of “culturally, historically, or aesthetically significant” films selected for preservation by the Library of Congress. Efraín Gutiérrez is interviewed by Charles Ramírez Berg at the Austin Film Society Screening Room, Austin, Texas on April 29, 2016. 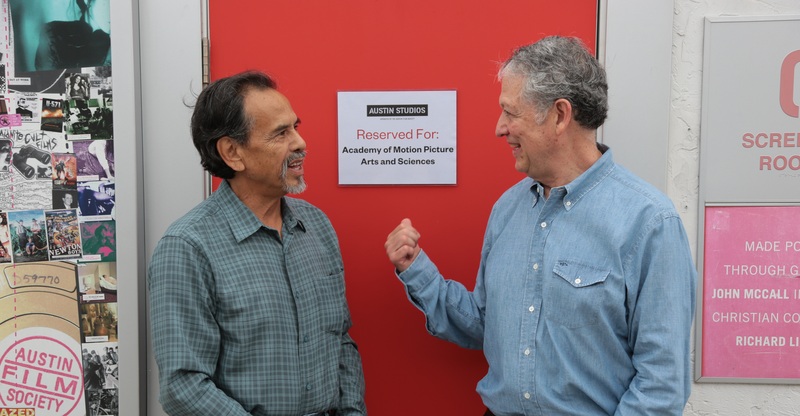 It is a co-production with the Getty Foundation’s Pacific Standard Time: LA/LA initiative and is part of the project From Latin America to Hollywood: Latino Film Culture in Los Angeles 1967—2017. Efrain Gutiérrez begins by sharing stories of his upbringing in Texas in the 1940s and 1950s. He discusses his haphazard education and recounts memories of spending the summer months working in the fields with his family; cherry picking in Michigan or weeding the sugar beet fields in Indiana. Describing Texas as the most racist of all the states, he talks about the discrimination he experienced throughout his childhood. He discusses the birth of his first child, avoiding the draft during the Vietnam war and his move to Los Angeles in the late 1960s. Chronicling his journey to becoming an actor-director Gutiérrez speaks about embarking on a Theater Arts course at the East Los Angeles College, attending workshops at Ricardo Montalbán’s Nosotros Academy, auditioning for a part in the John Wayne western The Cowboys (1972) and returning to San Antonio in the 1970s to set up the Mexican-American Guadalupe Theater. Expressing his dissatisfaction with the way Mexican-Americans are often portrayed in Hollywood cinema, Gutiérrez describes what led him to finally make his first feature length film, Please Don’t Bury Me Alive! (1976), with his good friend, the poet and writer Sabino Garza. He also discusses his 18-minute short, La Onda Chicana, his second feature Amor Chicano Es Para Siempre (1977), and his third feature, Run, Tecato, Run (1979) which was inspired by the month he spent incarcerated in the San Antonio County Jail for drug conspiracy charges. Gutiérrez talks about the year he met his wife, Irma Salinas, and the twenty year break he had from filmmaking between 1980 and 2000. He credits film professor Chon Noriega and playwright and journalist Greg Barrios for his resurgence back into the world of cinema citing the films he made after the year 2000; A Lowrider Spring Break En San Quilmas (2001), Skateboarding Barrio Olympics (2003), Barrio Tales: Tops, Kites and Marbles (2008), and The Betrayal (2015). 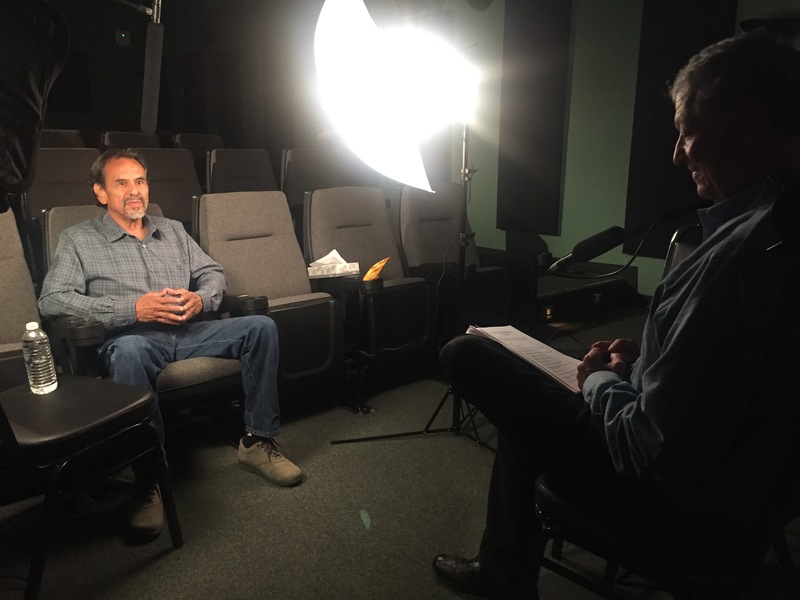 Gutiérrez concludes the interview by saying that he feels his purpose as a filmmaker has been to contribute to the Chicano Film Movement and he emphasizes the value of cinema in ensuring that the histories of Mexican-Americans are kept alive for the generations to come.